Young striker Jordan Adebayo-Smith delivered a blow to South Shields’ title hopes as they slipped to a 2-1 defeat at Grantham Town. The on-loan Lincoln City player scored twice on his debut for the Gingerbreads after proving to be a thorn in the Mariners’ side for the second time this season. Adebayo-Smith scored a hat-trick against the club’s academy team in the FA Youth Cup for Lincoln earlier this season before his temporary move to Grantham. He was one of several new arrivals at Grantham this week and the new blood made a real impact as they gave Shields a difficult night. Their intent was made clear from the first minute when Chris Dawson got in behind on the right before firing over within the first 10 seconds. Adebayo-Smith almost gave the hosts the lead soon after when a corner from Danny Brooks found him unmarked in the six-yard area, but he could only head against the post. The pacy striker got in behind in the 15th minute but was unable to seriously test Liam Connell in the Shields goal. The Mariners’ best chance of the early stages fell to Josh Gillies when he kept the ball in on the left of the box before firing into the side netting. They thought they had taken the lead just before the half-hour mark as a flick from Nathan Lowe was headed in by Gavin Cogdon, but the flag went up for offside. Grantham broke the deadlock on 31 minutes when Adebayo-Smith produced some superb skill to dance past two defenders before rifling the ball into the roof of the net. Shields needed a response after half-time and introduced Ben Harmison and Luke Daly from the bench as they searched for an equaliser. Blair Adams fired not far wide before the leveller arrived in the 73rd minute when an effort across goal from David Foley found its way in, perhaps via a touch on the line from Daly. Within two minutes, though, the Mariners were hit by a sucker punch as Grantham countered from a Shields free-kick and Dawson squared the ball for Adebayo-Smith to roll in his second of the night. Shields pushed for a second equaliser and almost found it quickly when Ben Harmison and Craig Baxter were both denied by brilliant blocks before Adams fired over. Briggs and Daly both saw shots saved and Adams hit one wide as the Mariners continued to push, but it was not to be as they fell to defeat. 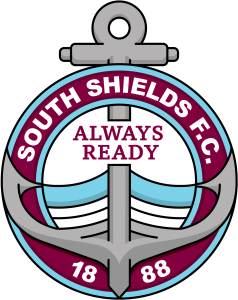 SOUTH SHIELDS: Connell, Baxter, Adams, Brown, Morse, Turnbull, Lowe (Daly 59), Briggs, Cogdon (Harmison 55), Gillies (Lough 85), Foley. Subs not used: Lister, Mouanda.